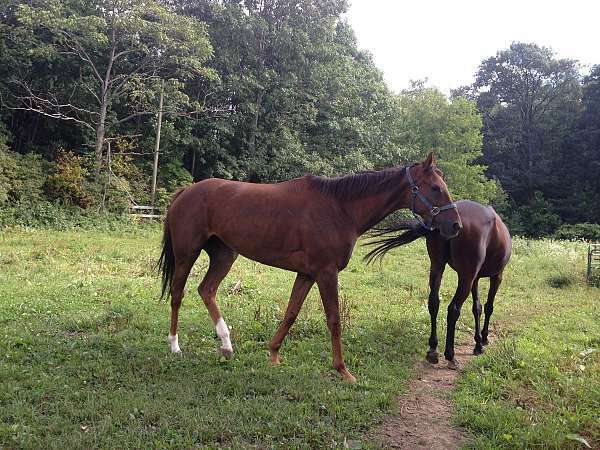 Neptune Road- with foal at her side- very negotiable to place in a new home. 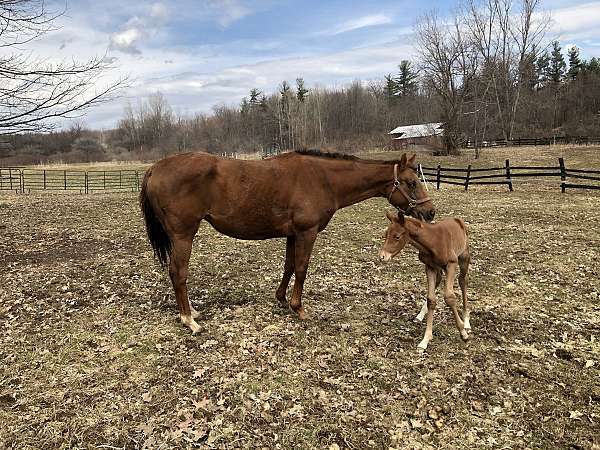 Covered on foal heat to Shimmering Forest 04/09/2019- could possibly be in foal for 2020 Has current 2019 coggins; all vaccinations; last farrier 03/04/2019; last deworming 04/01/2019; 10/2018 Rabies as well. This mare requires nothing . Sells with her 03302019 Filly by Shimmering Forest. 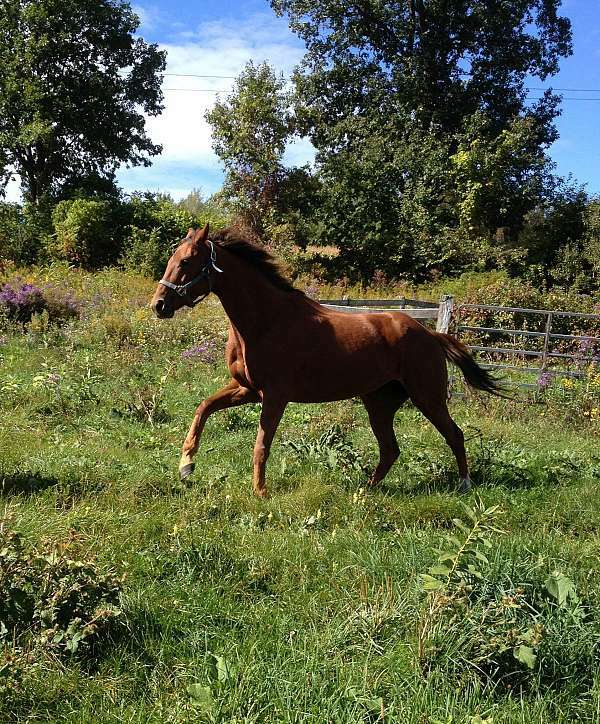 We are marketing her as the very nicely raced and bred mare, with her 2nd foal by her side.